Komatsu’s lineup of Wheel Loaders offers comfort, productivity and like every Komatsu machine, the most advanced technology in the construction industry. Every Komatsu Wheel Loader gives the most back to the operator and is built rock solid. Whether working in the Construction, Mining, or Forestry Industries, having tires with good tread are a necessary part of your Komatsu Wheel Loader. 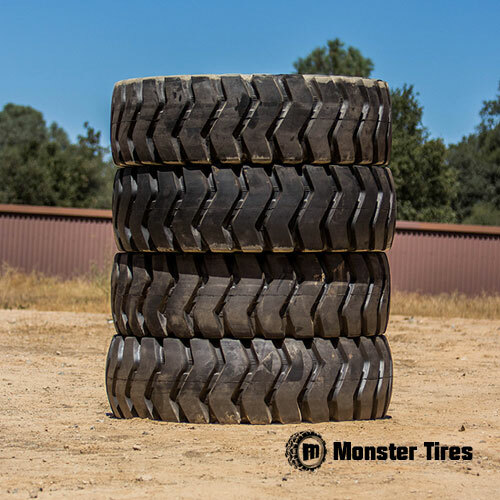 Monster Tires offers a complete line of Komatsu Wheel Loader Tires that will work hard on your job sites and last long to give you the best tires for your money. Not only does having good tread on your tires make your machine more efficient but can save you from other drive train problems, helps to stop potential blow outs and can possibly stop operator injuries. If you are looking for Komatsu Wheel Loader Tire Size Options, we stock WA150 – WA200 Wheel Loader Tires, WA270 – WA380 Wheel Loader Tires, WA420 – WA450 Wheel Loader Tires, WA470 – WA500 Wheel Loader Tires, WA600 Wheel Loader Tires, WA700 Wheel Loader Tires, WA800 Wheel Loader Tires, and WA900 Wheel Loader Tires. Your Komatsu Wheel Loader relies on its tires to be able to do its job. Make sure you have high-quality tires that give you dependability and reliability with Off the Road Tires for Komatsu Wheel Loader.